Spring is the season of bright prints that set the right mood for this season. But before buying another floral dress, pay attention to the alternative that is equally relevant and fashionable – paisley print items. 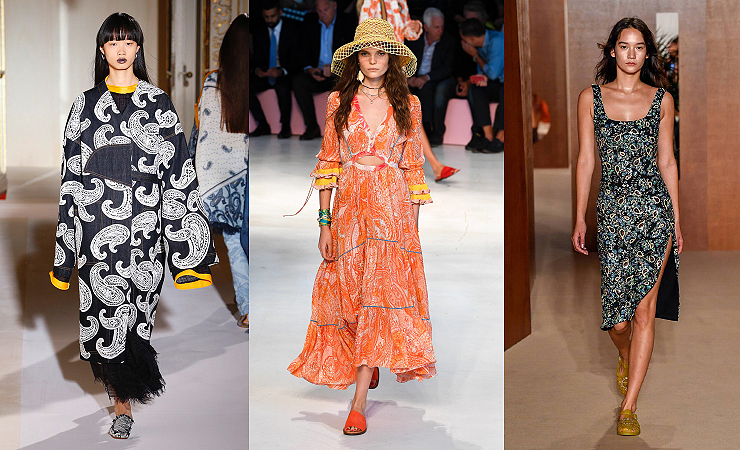 When creating their spring/summer collections, Indian aesthetics inspired and influenced the designers of many fashion houses – from Chloé and Paco Rabanne to Etro and Oscar de la Renta. Paisley is an ornament, the basic element of which is a drop, which is repeated in a pattern in different variations that gives artists and designers unlimited possibilities for creativity when designing an ornament. 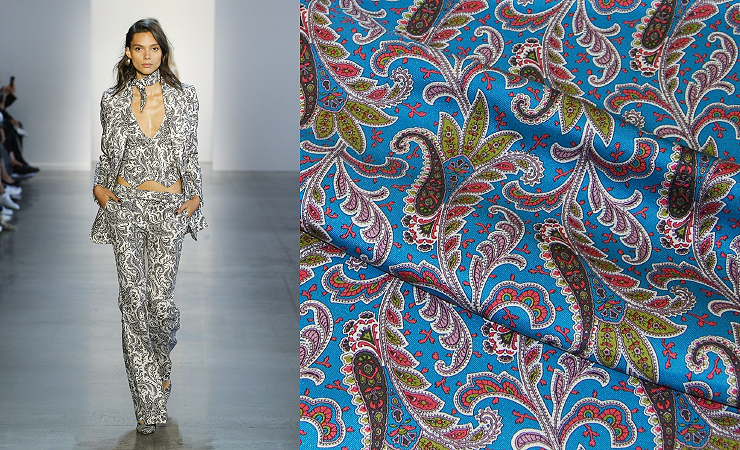 Paisley is originated from Persia. In the UK, this pattern became popular due to Oriental fabrics brought by the British army officers after their service. Scottish city of Paisley seriously took up the production of fabrics with this pattern, supplying them throughout the whole Europe. Thus the Indian ornament got its official name. 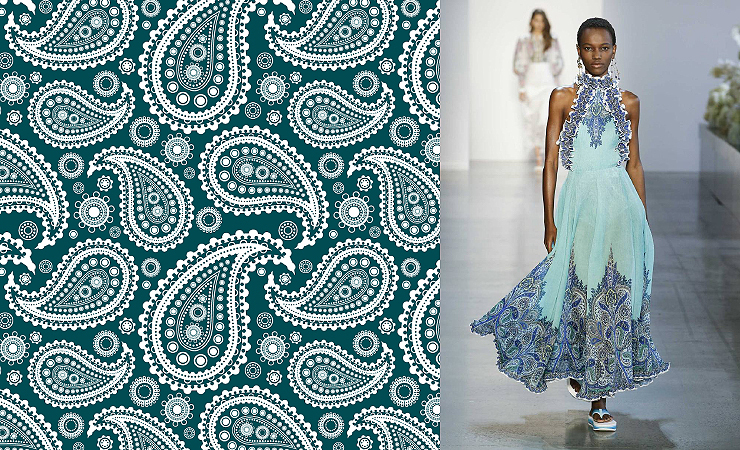 Modern manifestations of paisley pattern are very diverse: the elements of the pattern can be large or small, clear or blurred, concise or decorated with many small curls, monochromatic or multi-colored. 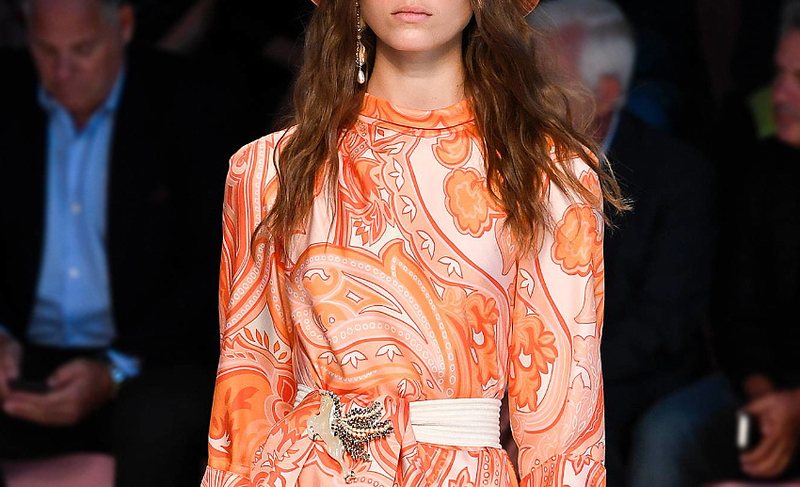 If you are a fragile and tiny girl with elegant, delicate features, then you are more likely to have a sophisticated paisley, drawn with a thin line in complex color combinations. If you are a tightly built girl, choose the simpler patterns of a medium size in a calm, unobtrusive color scheme, so that your figure would not look heavy.